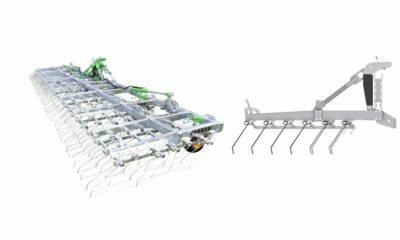 The CARGO chassis are standard fitted with the Hydro-Tandem (CARGO TSM) or Hydro-Tridem (CARGO TRM) hydraulic axle suspension. 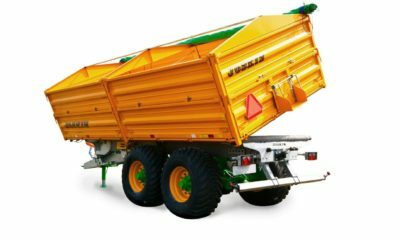 This type of running gear combines the advantages of the axles that can easily be pulled over obstacles and of the semi-independent axles offering a large clearance. This suspension works in closed circuit according to the communicating vessels principle. Large section pipes are used to improve the reactivity of the hydraulic rams, which is extremely useful in case of significant ground unevenness. 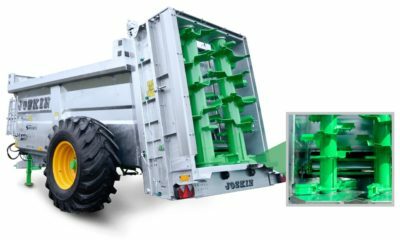 Finally, their 250 mm clearance ensures a perfect distribution of the loads in all circumstances. 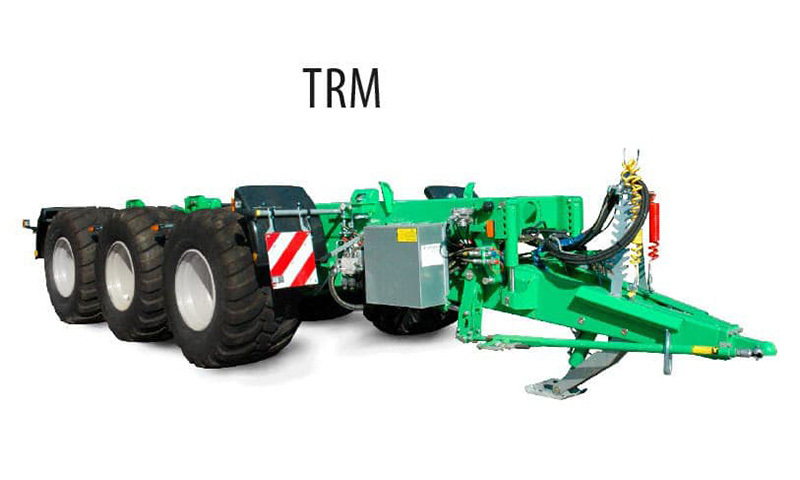 The CARGO concept allows to maximize the use of your agricultural implements thanks to a single basic chassis for 5 types of implements! It is a flexible and economical solution. 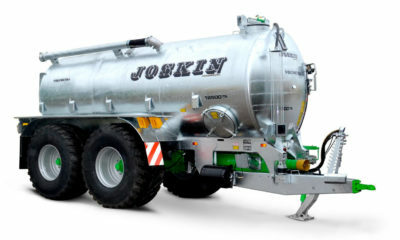 Next to a slurry tanker, with or without spreading tool, the chassis can be fitted with other implements, like a muck spreading body, a silage body, a Drakkar body or a monocoque agricultural tipping body. Machines fitted with electrovalves gathered on a monoblock basis are protected by a galvanized box. This hydraulic distribution installation includes an entry block (capacity: 60 l/min or 120 l/min). A high number of hydraulic functions of the vehicles requires a low flow, but it is important to know which ones require a high flow, like the hydraulic motors of the turbo-filler, macerator(s), etc. For a modular concept to be the most practical, it is essential that the basic implements can be placed/removed with few means and very quickly. Guides allow to place the implement on the chassis more easily. 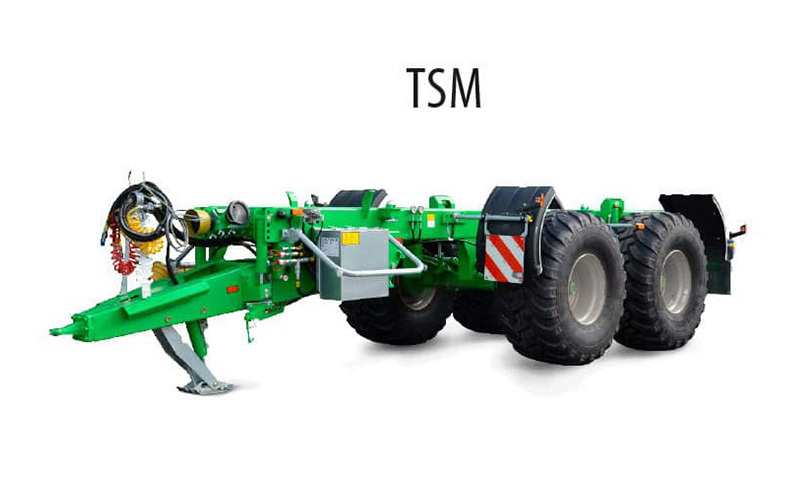 Implements are fixed on the chassis by means of 2 x 3 ‘‘Twist Locks’’ placed all along the chassis. The CARGO is fitted with rear hooks supporting the strains brought by the implement. The combination of these ingenious systems ensures a high comfort use and profitability. Depending on the used implement, the drive shafts are easily installed to operate the tipping pump of your Trans-CARGO or the shredding beaters of your Silo-CARGO. The assembly on a hydraulic ram with two nitrogen accumulators ensures an outstanding flexibility.